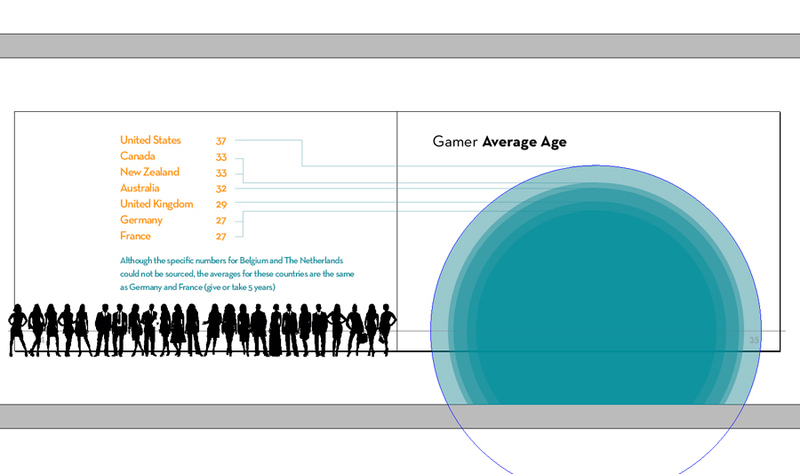 Working digital, the gamer data, of that which could be combined, was translated digitally from the sourced reports. During that process the chosen style of graph was modified (at the least that is/was the attempt) to play with the medium. For instance, what may or could have been a bar graph was extended and proportionally space within the full dimesions of the page connoting the values (i.e. the x-axis could represent the time variable across the page while the y-axis could represent the height of the page). The hope here was to provide the details of the data more visually so the reader would not have to rely on the numbers as much. The numbers and other data could then provide a step to, if not the, next level. 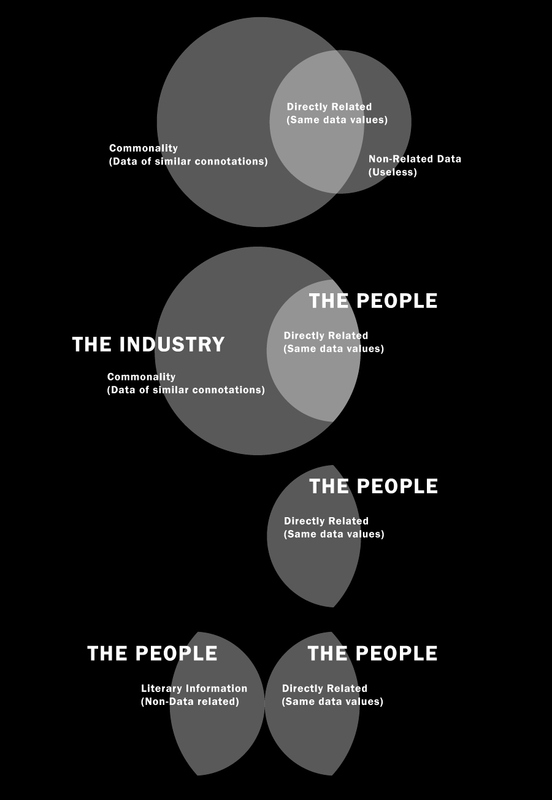 The rest of the piece consists of a couple more graphs to be defined and spreads of articles and brief pull outs of information to add varying contexts for the audience and as well simply present the non-data related information. 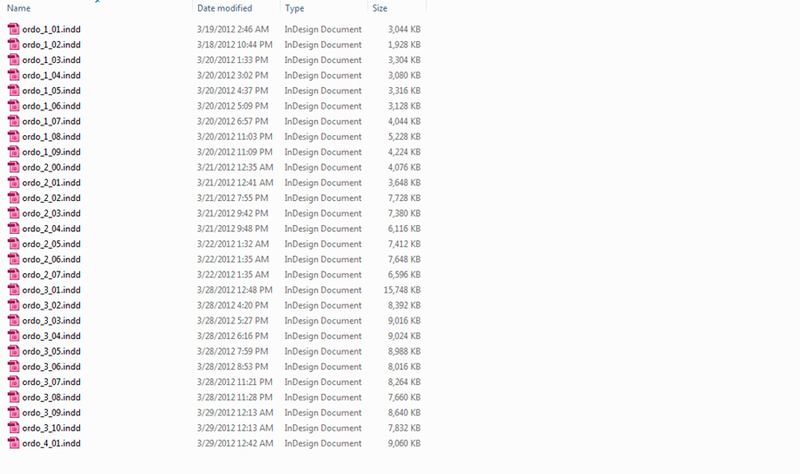 After losing files and having corrupted files in the past, I have a bit of an OCD on file saving. 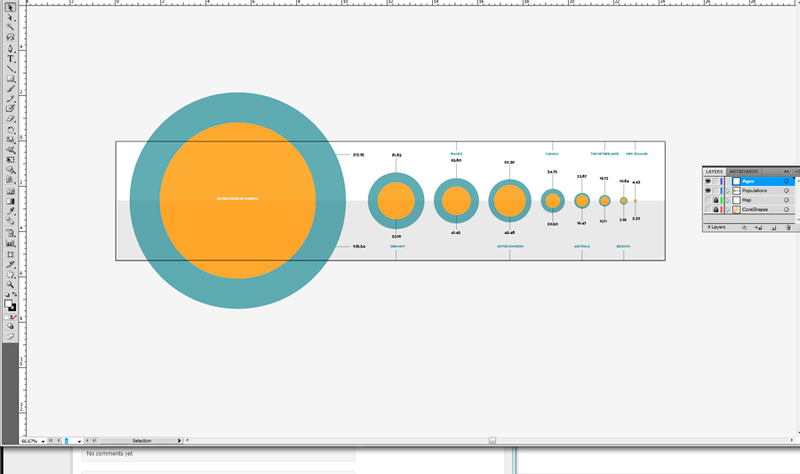 It (saving) occurs at each change of design direction and layout change as it is worked through. Some initial layouts sketches for the piece before stepping into In Design. They follow the golden ratio dvd case dimensions (8″ x 5″) mentioned in a latter post. The final drafts for upcoming revisions can be noted below. As well is a link to the presentation for the piece. Note that they are low res pdfs for memory reasons. Ongoing revisions throughout the following some weeks will produce update, refined, iterations based on the feedback after Phase 4 presentations. These will be posted bellow as they arise. Reading through publication, the user should be able to assess different levels of information. They may be browsing and flipping through or reading in depth. Either way it would be nice to present the information in both ways but no as repetitive as it could rather from a different perspective. Multiple levels of information would allow for immersion into the publication. Along with it exploration should part of any print piece for the reader to want to read it. These two would allow the reader to discover the narrative of the piece and walk away hopefully having enjoyed it. That’s the theory anyways I have been trying to keep to. Ongoing research led to the discovery of some new data. It came to attention a few weeks ago that a company (newzoo) retails a complete, in depth, annual report about the gaming industry. As well, it researches 10 countries, give or take the timing and the cost of which is 4,000 Euro per country or 25,000 Euro for all countries. It must be then the industry is taken care of. Such a report, assuming the company is turning a profit, contains more than enough information. Presumably well designed also. Confirming the direction I was already leaning towards, and taking the industry out of the equation, a publication is in deed the direction. As well, weeding through the data while trying out different forms sorted out the commonality and what could be combined together. 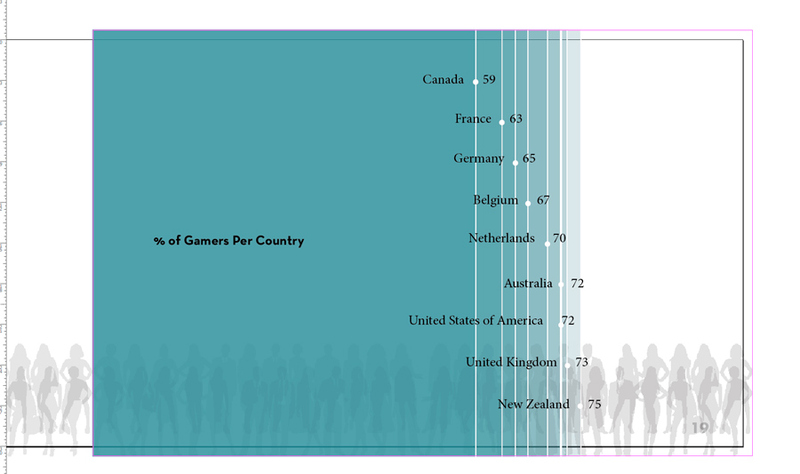 The result was data about the specifics of the gaming community and gamer demographics, serving the purpose of the publication I have been working through. Note: This train of thought has been on the back burner for some time now as I worked through some of the other aspects of design and detailed prior. Most gaming aesthetics involve a well defined attention to detail and high resolution (connoting the ongoing technological development of the industry). Furthermore, rich contrasting colours, generally speaking, serve to enhance the gaming experience. Or so the ads say. In any case, this publication does not speak strictly to the gaming community but those outside who are not particularly aware of the gaming community. 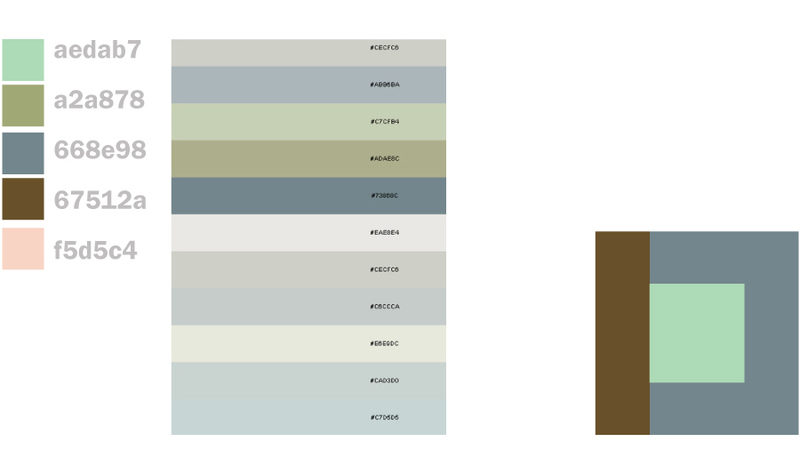 A muted colour pallet based on colours (orange, teal, red, etc.) found in gaming aesthetics servers to present a toned down design more befitting the audience. 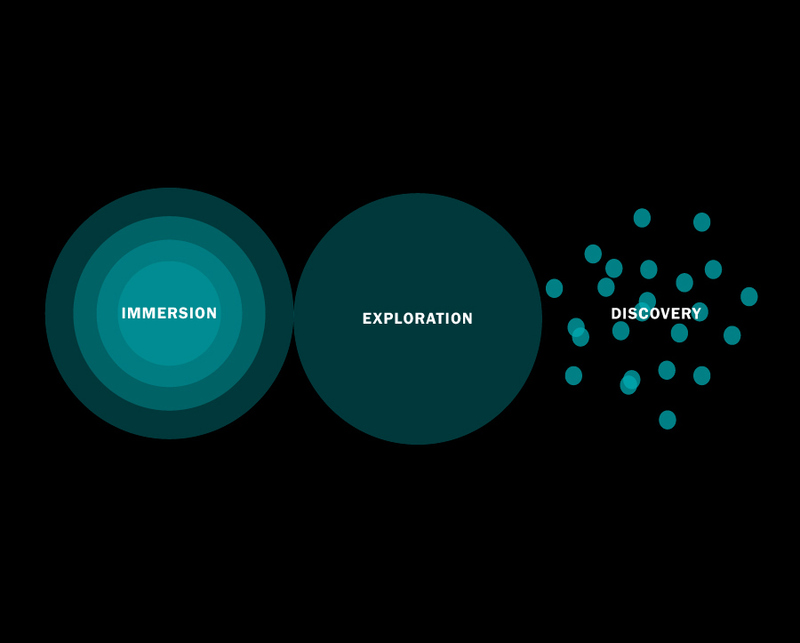 In general, designing for the whole (as the instructor puts it) rather than from the industry.